Jaguar 340 Saloon Next in line for revision were the Mark 2 saloons. Items such as leather upholstery were made optional extras to keep the price down, and the 3.8 litre version was discontinued now that the 420 was in production. The new slim line bumpers were fitted in place of the more expensive Mark VII style ones. Introduced in September 1967, these new models were the Jaguar 240 (fitted with the 2.4 litre engine), and the 340 (with the 3.4 litre engine). 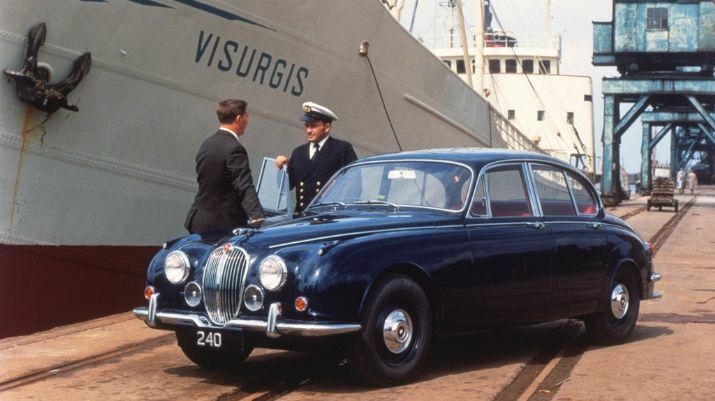 Production of these continued until October 1968 when the new Jaguar XJ6 saloon was revealed.